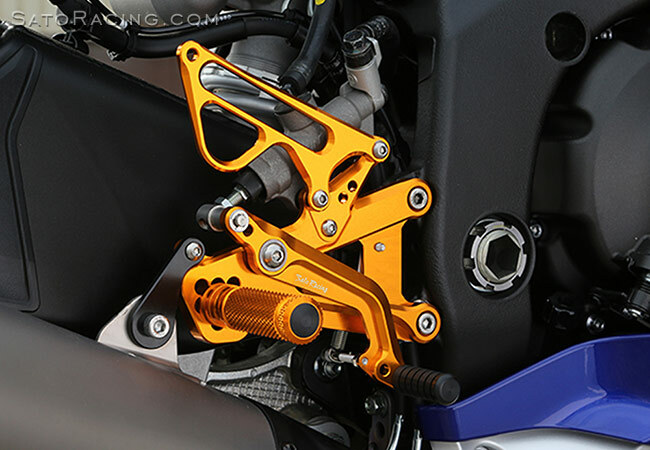 SATO RACING Rear Sets (standard version) for 2017-19 Yamaha YZF-R6 are CNC-machined from high strength billet aluminum, anodized in either deep Black or vivid Gold finish. You can choose from 8 adjustable peg positions, so you can find the ideal position for your riding style. 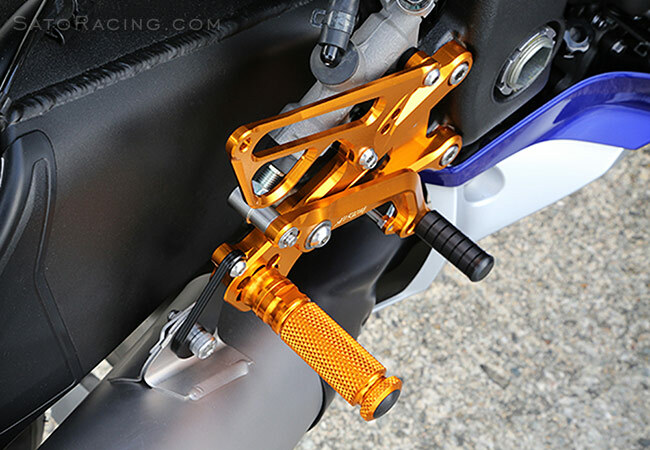 These Rear Sets are designed for use with the Yamaha quick shifter, and can be set up for stock shift pattern or reverse (GP-style) shift patttern. 'Street'-friendly design - Compatible with the stock rear brake light switch and ABS. 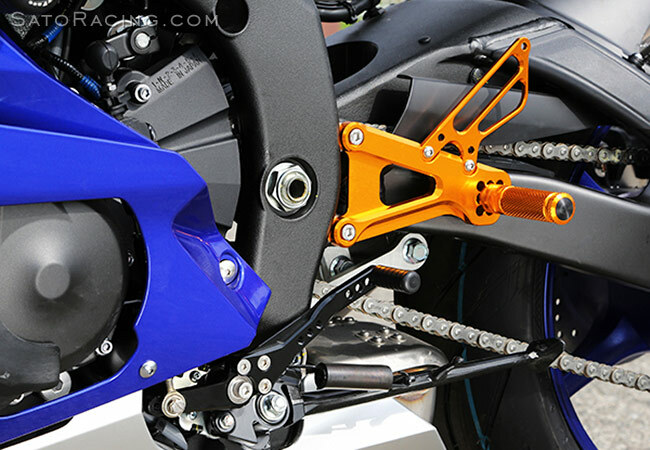 There are 8 possible mount positions for the Foot Peg. The Pedal Tip position is also adjustable. 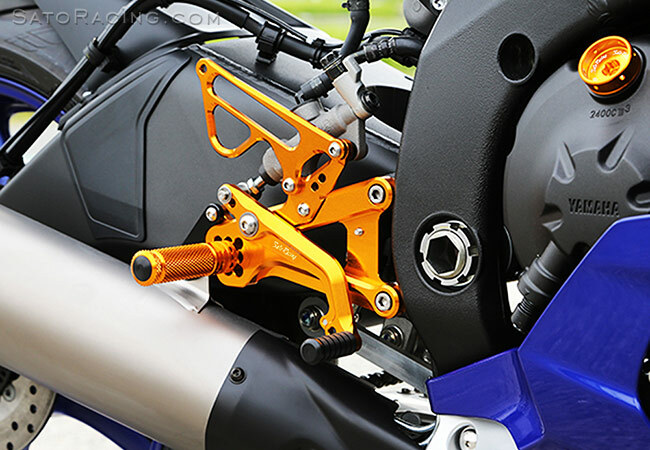 These Rear Sets are fully compatible with the stock brake light pull switch and ABS. 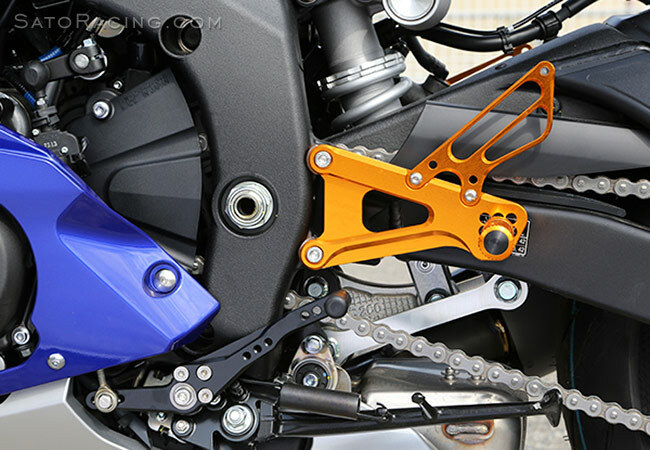 Rear Sets kit includes hanger bracket hardware for attaching the stock exhaust canister. 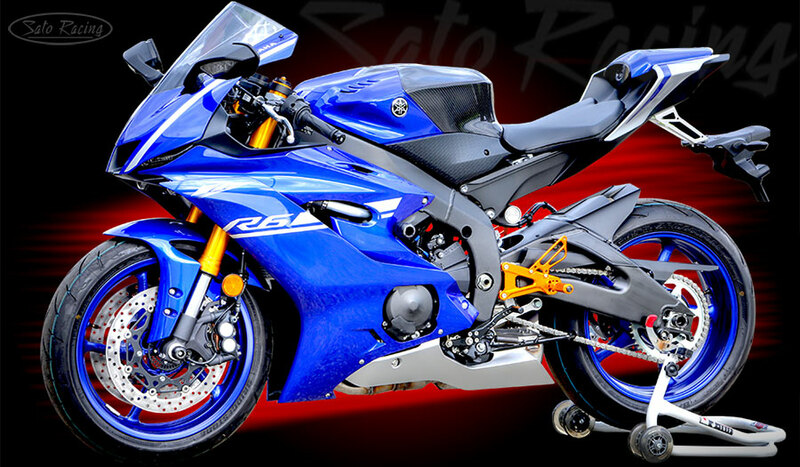 Our R6 Rear Sets can be set up for either stock or reverse (GP) shift pattern. Stock shift pattern is shown in the above photos. 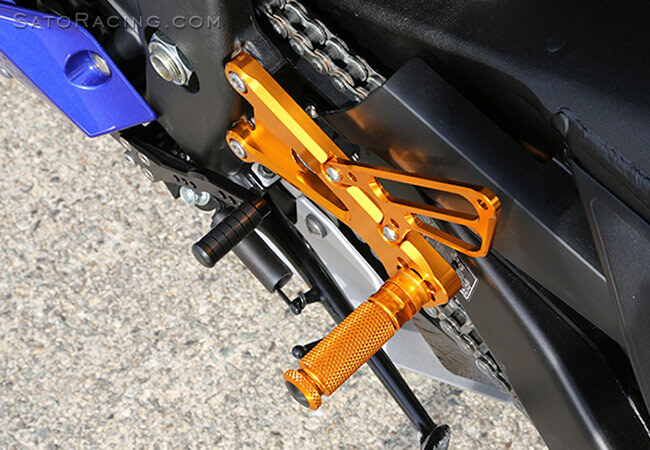 For reverse shift pattern, relocate the lower end of shift rod to a hole on the opposite end of the shift pedal and adjust the angle of the stock shift arm.